She Said–More On That Later. . . Yesterday, my post included the phrase, “more on that later. . .” several times. Today I will fill you in. 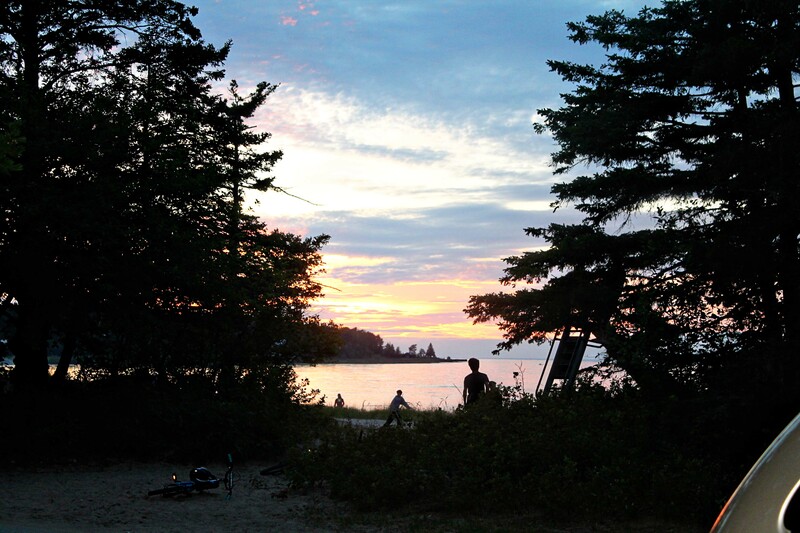 We camped at the Wilderness State Park. We had no idea that this place is booked a year in advance. The only reason there were any empty spots is because there had been a rain storm the day before and some campers had left. Out of the campsites available we chose on that was open for three nights. If we had chosen the one directly across from our site (right on the water) we would have had to move after the first night. The night we arrived it was windy, so at the last moment, I chose the camp site not directly on the lake. Chance? or the LORD’s provision? You are just going to have to wait longer. 🙂 I have a post coming on the doughnuts. There is more. The day my bike got stolen, I tried to hold out hope that it would be returned by the end of the day. We headed to a baseball game, and when we came home, the two brothers of the Bike Thief appeared in the driveway. I took a deep breath and was about to exhale a tirade, but the littlest guy started crying. “What’s wrong?” I asked. Between sobs and tears, I heard a frightful tale of his uncle being shot in the head that day, and a trip to the hospital, and a miraculous life saving event despite the bullet in the head. The boy went on, while his older brother told me that the Little Guy now had nightmares at night. Since they had come to our Neighborhood Sunday School a few times, I knew them a bit, and cared for them more. I picked up Little Guy and let him cry in my arms (sobs increased.) Then I got out two index cards and wrote out Bible verses for them to keep under their pillows and then we knelt down and prayed for the Shot Uncle and the two boys in my living room. About a week later, I mentioned the incident to another neighbor who knew the boys. Turns out they did have an uncle that got shot in the head and somehow survived, BUT the incident had happened a LONG time ago and was their excuse and story for every thing. More On That Later #5: “We ended our visit with fudge (more on that later). 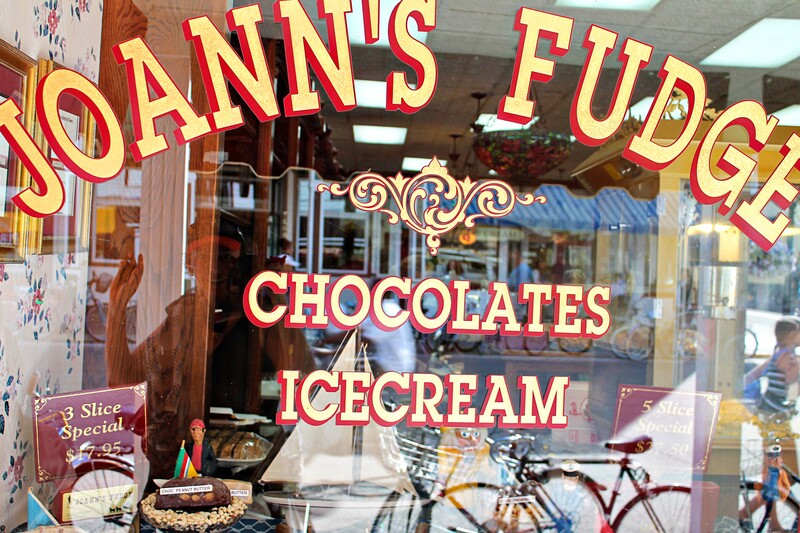 Mackinac Island is famous for it’s fudge. 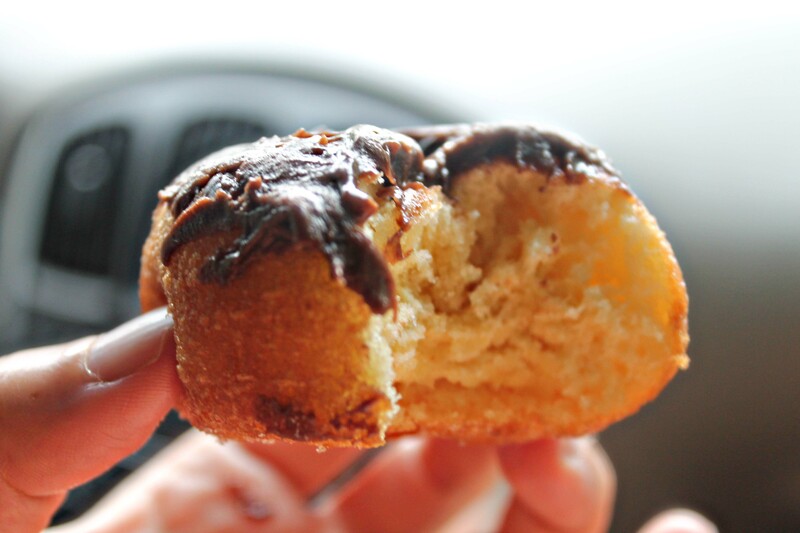 Here is a link to a recipe. Most modern recipes use a marshmallow creme base (or melted marshmallows or sweetened condensed milk.) 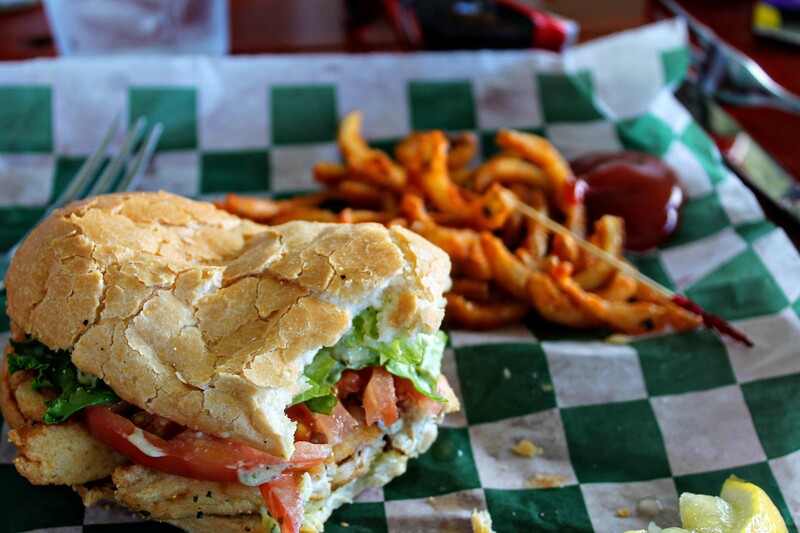 But on Mackinac Island they make it from scratch. 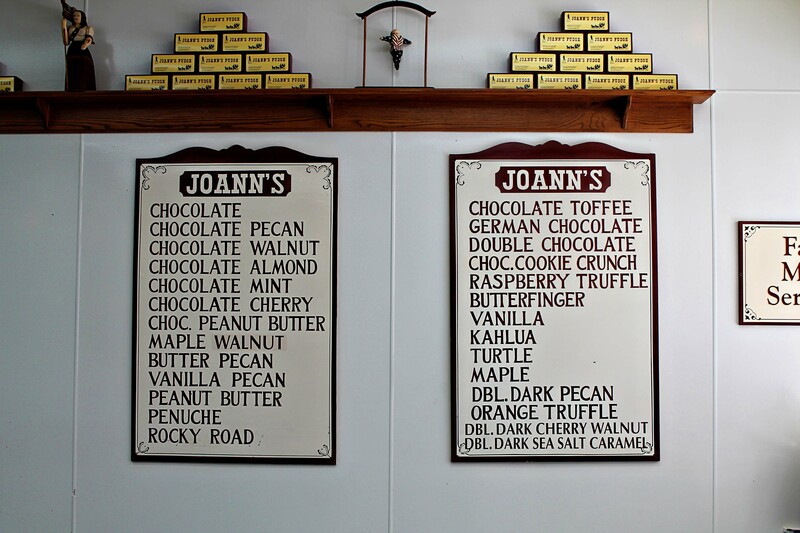 Mackinac Island fudge makers take their fudge really seriously, and the result is some seriously good fudge. We ordered up Chocolate, Double Dark Sea Salt Caramel, and Chocolate Toffee. The ingredients are heated over a gas fire until the temperature reaches 230º F. I couldn’t get the fudge maker to give me the exact recipe, but it does include a pound of butter and a gallon of heavy cream. Before pouring on the fudge, four metal rails (called divider rulers) are put down. 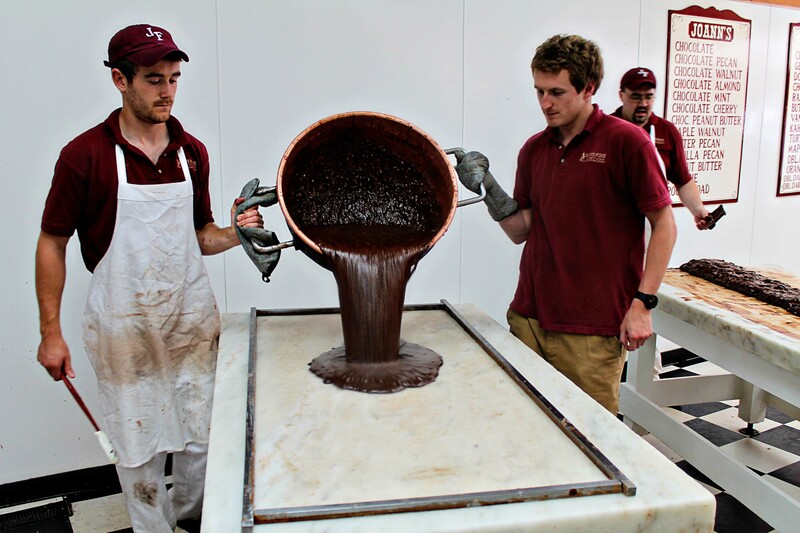 Then the Irish Boy and the Australian Boy (both working on the island for the summer) lifted the pot of liquid fudge and poured it onto a solid marble table. 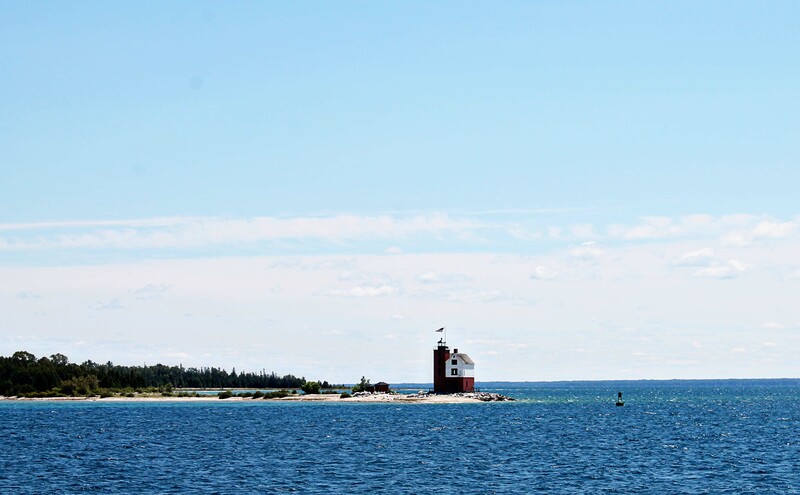 Mackinac Island imports many college age students for the summer season. I think it would be a great place (reasonably safe environment) for a college summer job. Here is a Facebook page devoted to summer jobs. It is at this point that the extras are added–nuts, toffee, caramel, etc. . . 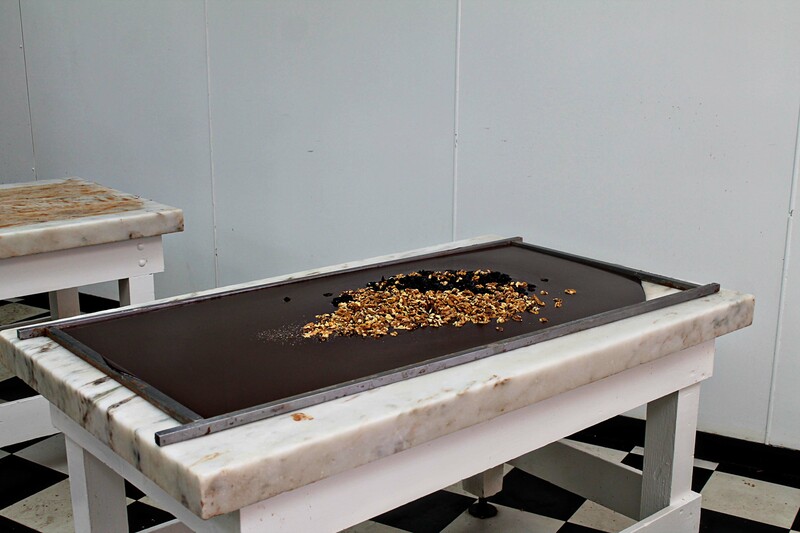 The marble table absorbs the heat and quickly cools the fudge. A worker uses a hoe like tool to mix and form the fudge. 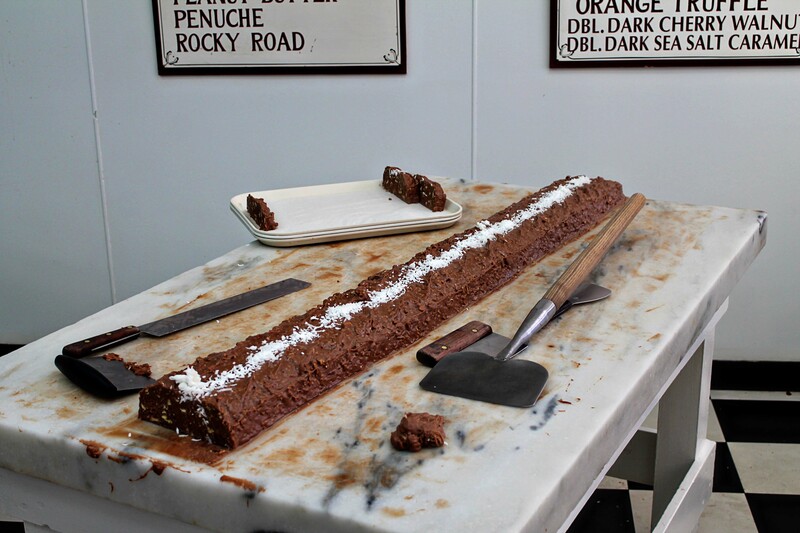 When the fudge is almost cool, the worker uses a flat trowel to heap the fudge into a long roll. 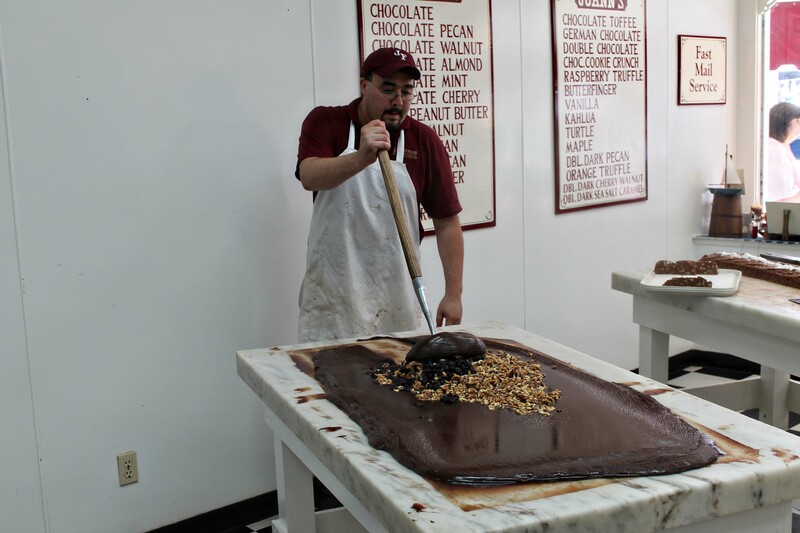 Once cooled, the fudge is cut into one pound slabs and put on trays to sell. Growing up in South America, we played with simple toys. I had jacks and a jump rope and the boys made kites. We would fly these kites at the park across the street where there were kite fights. A kite fight is where one kite would try to “take out” another kite by cutting its line. Pepe was the kite fighter on our block and made several kites out of tissue paper and lightweight dowel rods. He sometimes would crush up glass then dip his kite line in glue and then in crushed glass. Sometimes he would add razor blades to the edges of his kite to help his kite cut another’s kite line. These kites were works of art and at 6 years of age, they were often as big as me. So you can see kites were a Big Deal on our block in the poor section of Lima, Peru. One day, we went out into a outlying suburb to have a Bible Study with a family. 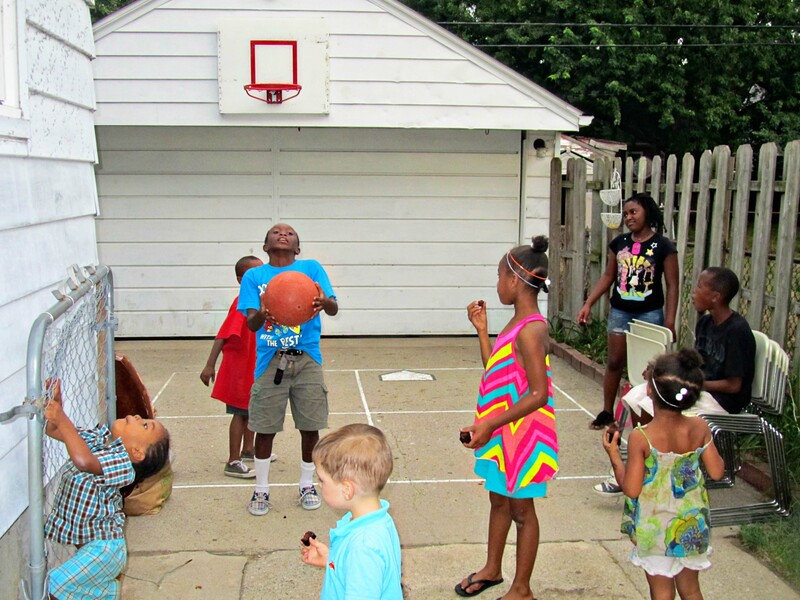 While the adults read the Bible, the kids played. Two older kids showed me a large kite made by the boy who we were visiting. It was a beauty. The two older kids dared me to punch a hole in the kite. I said, no. Then they said that they knew I wouldn’t because I was a Christian girl and would never have the guts to do it. I immediately pulled back and rammed a fist through the thin paper of the kite. The older kids giggled and immediately went to tell my mother what her good little Christian daughter had done. I stared horrified! I felt awful! I couldn’t believe I had destroyed such a beautiful kite! The two older kids interrupted the Bible Study to tell the Missinonary Mom what her Rotten Christian Daughter had done. My mom said that I hadn’t punched a kite. They demanded that I had. She went for a look. She came and saw the kite and saw my face and then promptly. . .
Now if you know my mom, that isn’t her usual way of disciplining. AT. ALL. P.S. Baseball Boy just finished reading a book about kite fighting called The Kite Fighters. 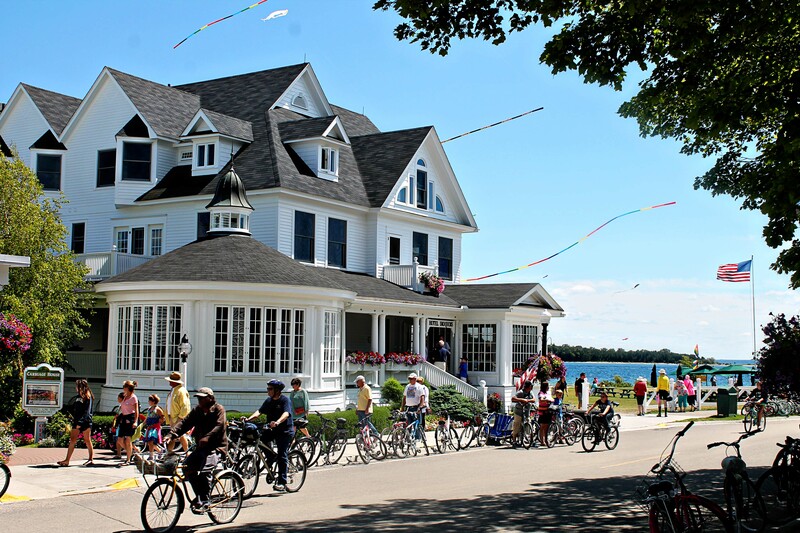 This entry was posted in She said... and tagged bike thief, kite fighting, mackinac island fudge, the kite fighters. Bookmark the permalink. 1 Response to She Said–More On That Later. . .
You live in an exciting neighborhood!!! Sure good the Lord has someone to give them the gospel.